For skaters, by skaters since 1997, Goodtimes is a skateboard, apparel and accessories store for men and young men. We are purveyors of brands that support skateboarding because we believe in staying true to our roots through conscious retailing. Goodtimes carries a wide variety of clothing. We have over 100 styles of shoes, accessories, and everything skateboarding: decks, trucks, wheels, bearings, and hardware. 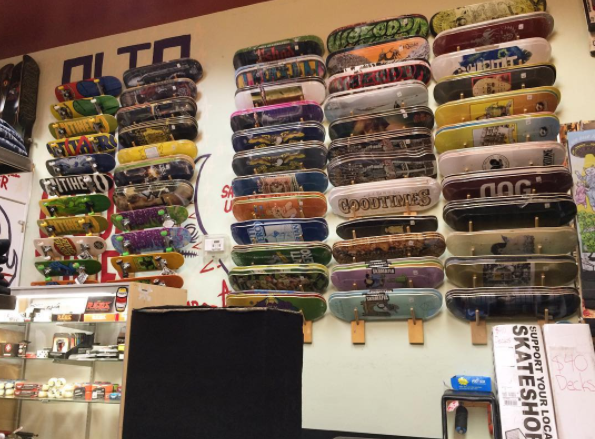 With over 50 brands, 8,000 SKUs, 9 departments, and a staff full of knowledgeable skateboarders, we can surely help you get what you need. We also offer free skateboard assembly and maintenance to our customers. Located in Grass Valley in the core of California Gold Country, we are more than just a spot on the map. Proud, pure and true, Goodtimes contributes to the distilled generation of pioneers and living history of Nevada County.